Visitors to Frenchman Bay can sometimes see the corpses of strange-looking fish on Goode Beach and Whalers Beach in early winter. More than a hundred of these fish litter the beaches in some years. Why is this happening? PhD researcher, Marianne Nyegaard (Murdoch University) is studying the aggregation and mass stranding of Elongate Sunfish (Ranzania laevis) along the south coast of WA. 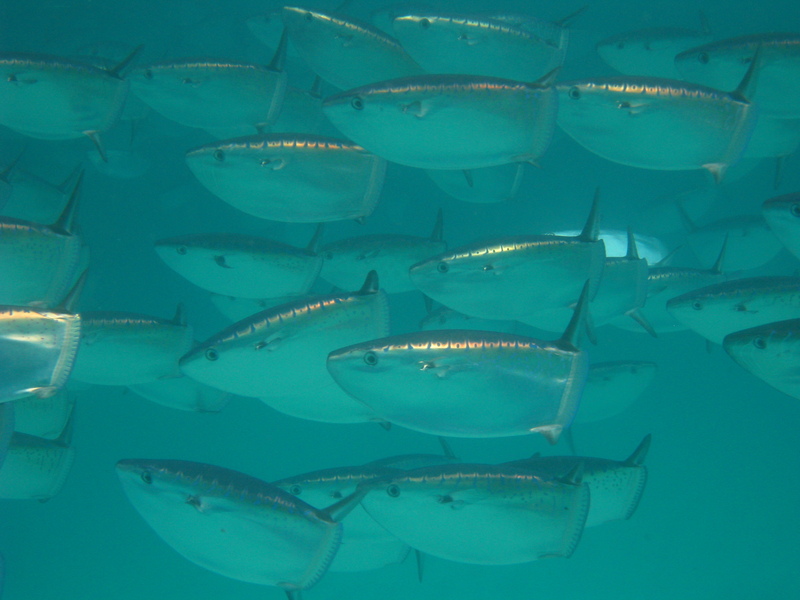 Despite a global distribution and moderate abundance in temperate and tropical seas, the biology of Ranzania laevis is very poorly understood. It is an oceanic species found at depths of up to 300 m. The biology and ecology of sunfish is poorly understood, presumably because individuals have an inaccessible distribution and are rarely observed near land, and also because they are not fishery targets and have low commercial value. In autumn / winter, numerous schools of sunfish appear on the south coast and several hundred individuals get washed ashore. 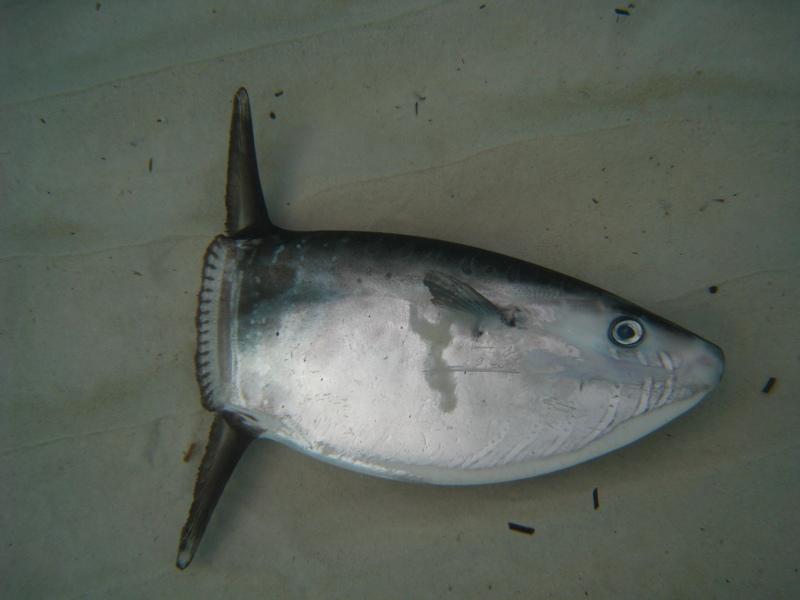 Many of these fish are alive or recently deceased when found, thus creating a rare opportunity to study this species. Data on length, weight, diet and reproductive status is collected for analysis. Stranding events have been reported since the 1920’s but the cause of the strandings is as yet unknown, although the impact of strong El Nino conditions on the Leeuwin Current may play a role. Normally strong swimmers, the stranded fish appear weak and disorientated. There is no evidence of disease, and no evidence of recent spawning or reproductive activity. Marianne’s research is ongoing and she is very keen to have input from our local Goode Beach community. She can be contacted at M.Nyegaard@murdoch.edu.au. 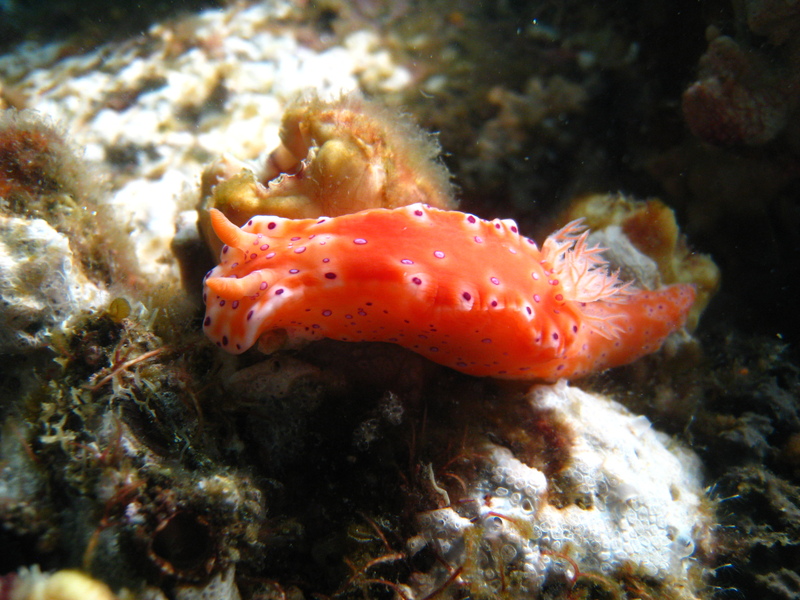 Many people have never seen a live sea slug (or ‘nudibranch’’ to use the scientific name) or, for that matter, a live sponge in natural underwater habitat. 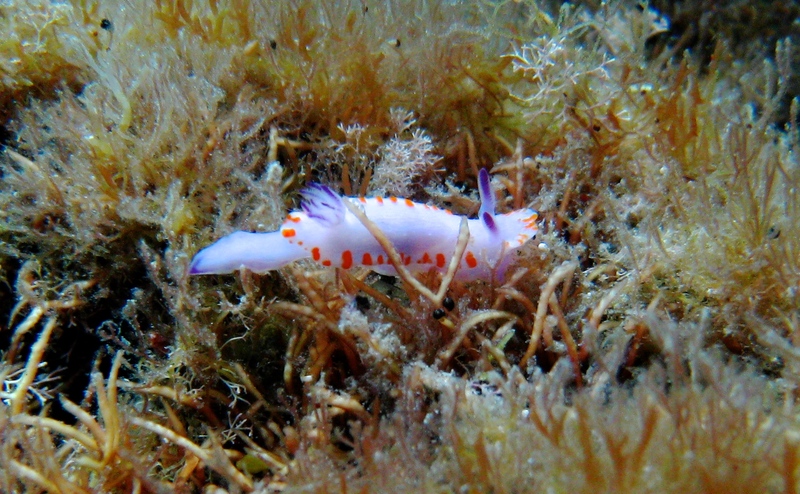 Yet these animals are astonishingly colourful and varied. They live in Frenchman Bay and only intrepid divers are able to appreciate the visual effects. 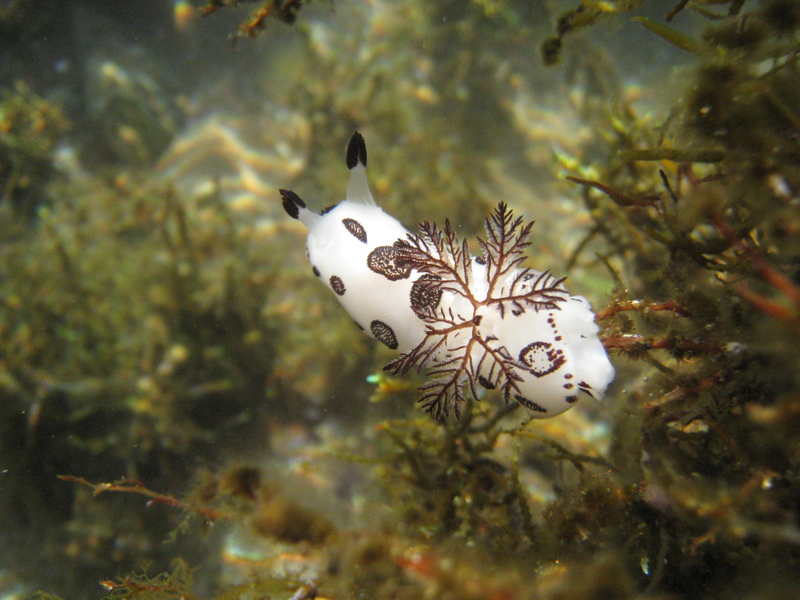 Among the sea slugs (molluscs without a shell) there is a vast variety of body shapes and patterns. 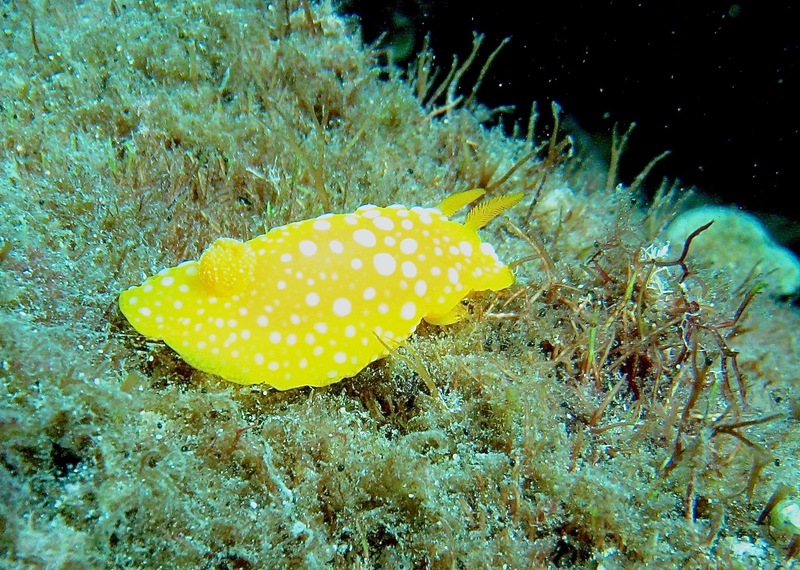 Because they have no hard, protective shell they have developed other protective measures such as the capacity to secrete distasteful substances to deter fish, or to rapidly camouflage their bodies. 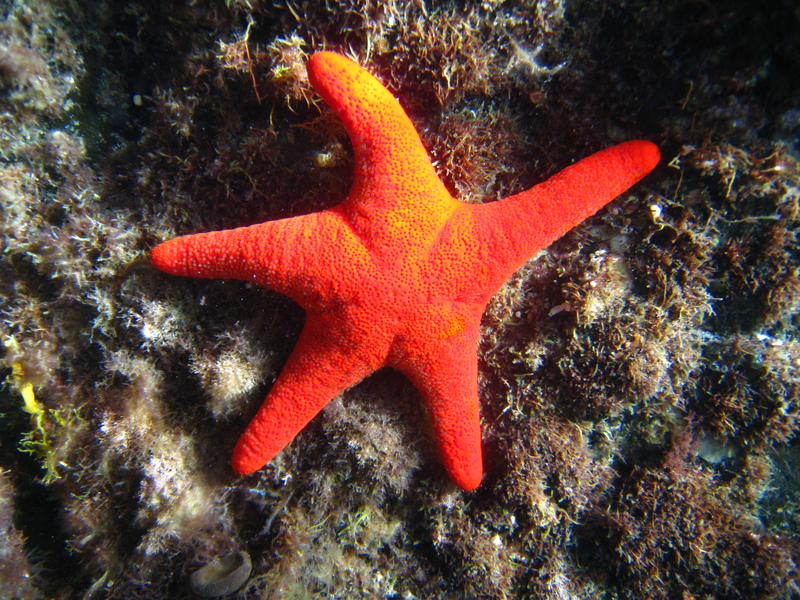 Their vivid colours signal to predators that they are dangerous to eat. If you see them while diving it is best not to touch them. 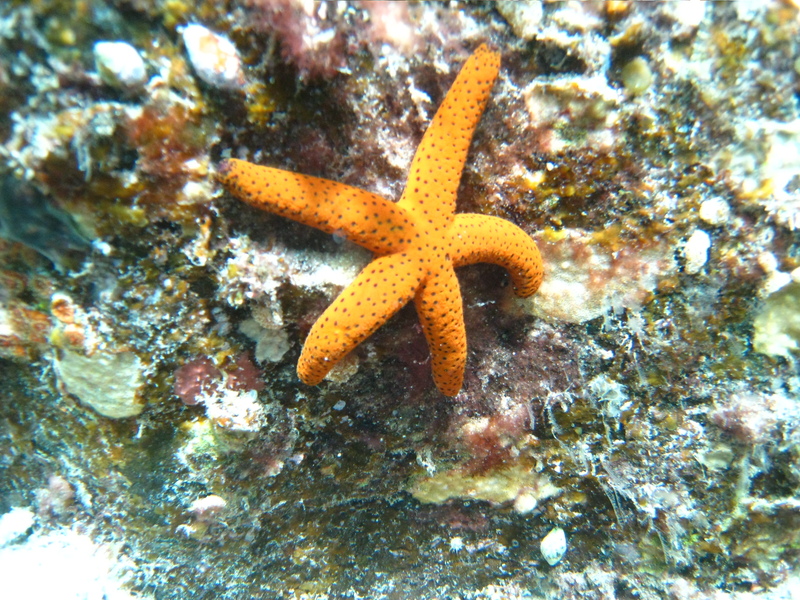 Sometimes when walking along Goode Beach you may see a dead starfish that is dull grey or sandy coloured. 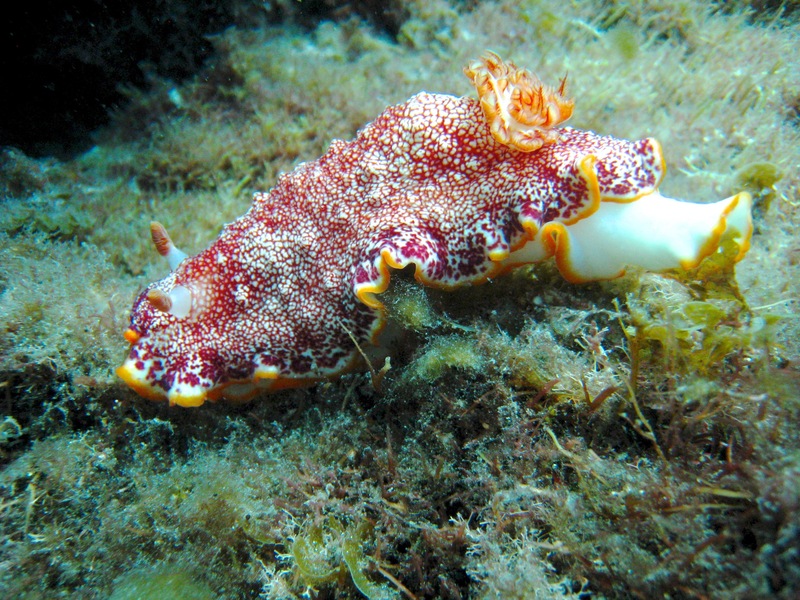 Underwater and healthy, their appearance is as amazingly colourful as that of the sea slugs. Albany is home or port-of-call to many seabirds. Perhaps the most magnificent is the Albatross. 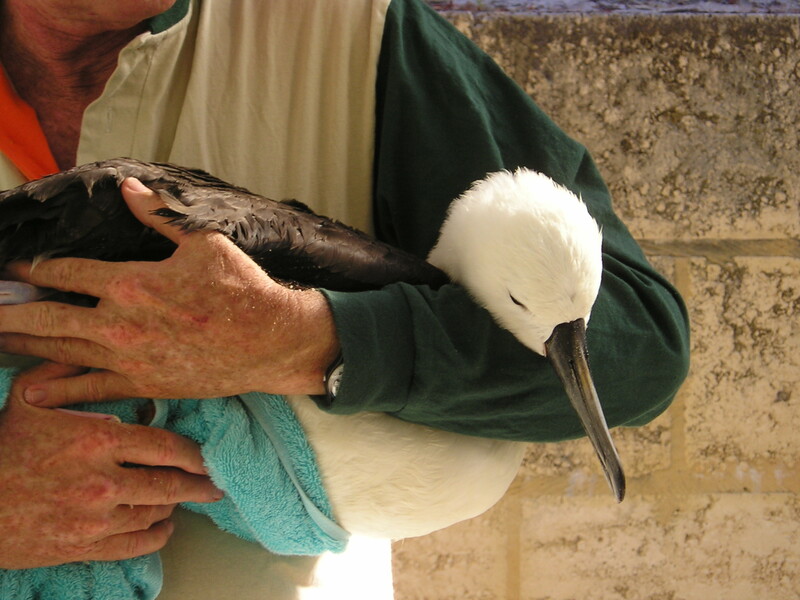 One species that visits Albany is the Yellow-nosed Albatross. One recently landed exhausted on Goode Beach and remained stationary even when approached by humans. Fearing that the Albatross would be attacked by a dog or by other seabirds, it was carefully taken home. The Albatross did not struggle, and although a large bird, it seemed almost weightless. Rosenberg’s Monitor is the largest lizard in the Frenchman Bay area; adults have been known to reach 1.5 metres in length. 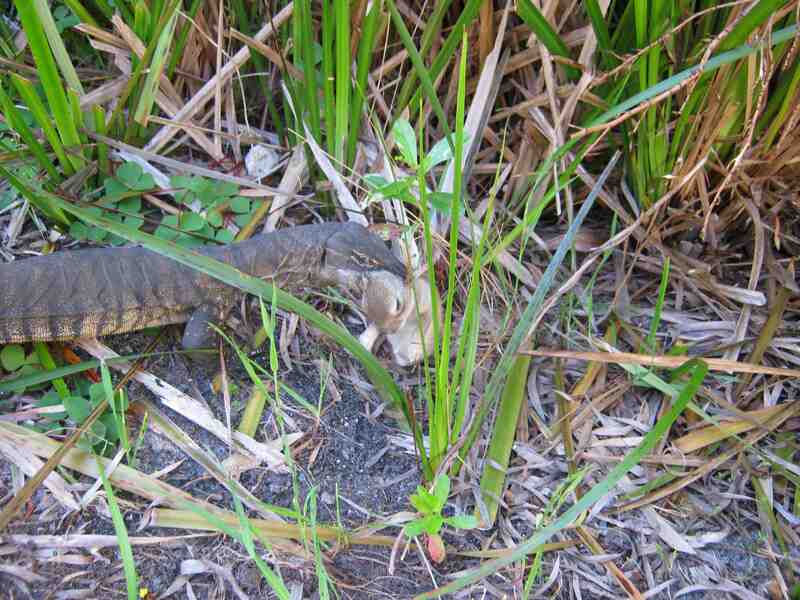 The lizards have distinctive charcoal grey bands around their bodies and long tail. Their legs have speckled white spots. The monitors have sharp teeth to hold their prey. They should not be handled. They are relatively common and can sometimes be seen basking in the sun on bush tracks. It is possible, sometimes, to approach them to within a metre or so. The monitors will eat almost any animal of a size that can be swallowed. In the photo below, a large monitor has seized a young rabbit. Within a minute of the photograph being snapped the monitor had flipped the rabbit and swallowed it whole, head-first. The Western Tiger Snake is a dangerously venomous snake and relatively common in the Frenchman Bay area. Mature tiger snakes exceed a metre in length. In the Albany region tiger snakes have a blackish coloration on the upper surface of their bodies, with the stripes from which its name is derived barely visible. They have a creamy-yellow underbelly. Tiger snakes are commonly found around water where they feed on frogs and small mammals. They become active in spring and are exceedingly venomous after hibernation. Tiger snakes are not usually aggressive but will strike at humans and animals if they are accidently approached and unable to reach cover. 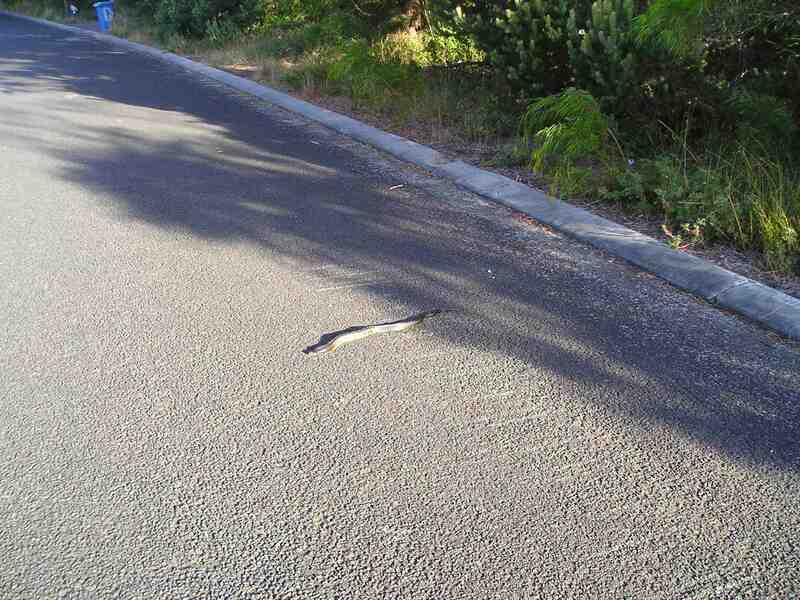 The tiger snake in the photo below was leaving a damp area with dense cover and in the process of crossing a road at Goode Beach. Most humans who are bitten accidently tread on them or near them. Bush walkers should keep on the tracks and not tramp through bush where there is limited visibility at ground level. 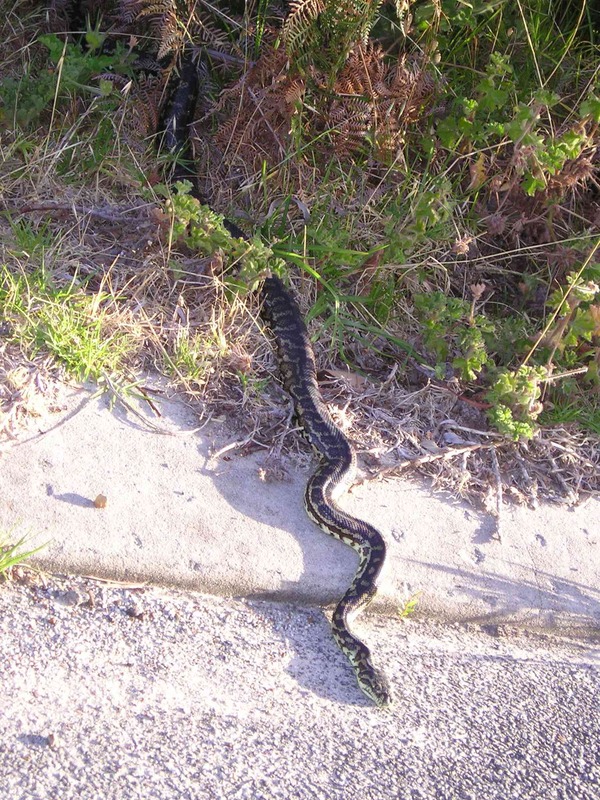 There have been a number of dog fatalities in the Frenchman Bay area caused by dogs unable to resist investigating the movement of a tiger snake they have encountered. 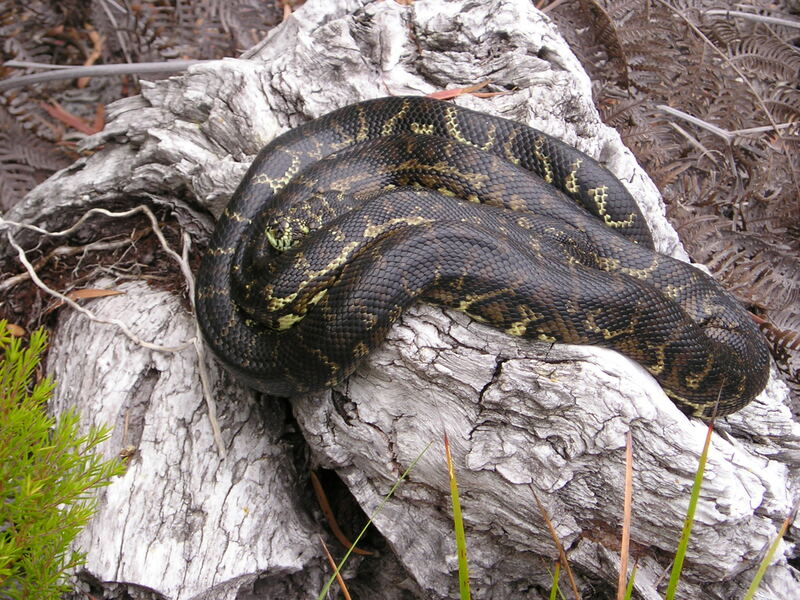 The Southern Carpet Python is found throughout Frenchman Bay. Adults reach two-and-a- half metres in length. It has a striking pattern. Colours vary from greenish brown to a blackish brown. The pythons feed on small mammals and birds and are mainly nocturnal. They are not venomous. Residents at Goode Beach have found pythons in their back yards and sheds. They may be approached and some submit to being handled though others hiss and strike when disturbed. Owing to predation by foxes and feral cats, and land clearing, the python is now gazetted as a threatened species. There have been instances where and motorists have run them over while they crossed a local road. This species of snake is uncommon so far south of the tropics. It lives in the ocean and is occasionally washed up on a beach. The snake can reach up to 80 cm in length, has a blackish top and creamy coloured under-belly, and a distinctively flattened, spotted tail adapted for swimming. It is dangerously venomous. 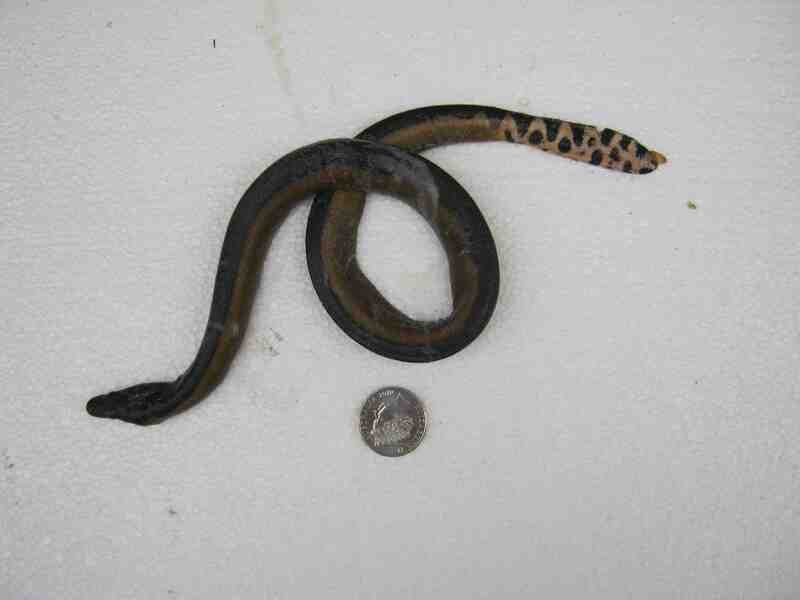 The snake shown in the photograph below was found on Whalers Beach near the picnic area and was thought dead. It was brought home for examination and photographed. It then revived and was hastily and carefully returned to the ocean! The tiny Assassin Spider is a member of a spider-eating group of spiders known as Archaeidae and until recently was known only from fossil records. Some had been preserved in amber. They were obviously unusual with thin elongated necks and long jaws lined with peg-like teeth. 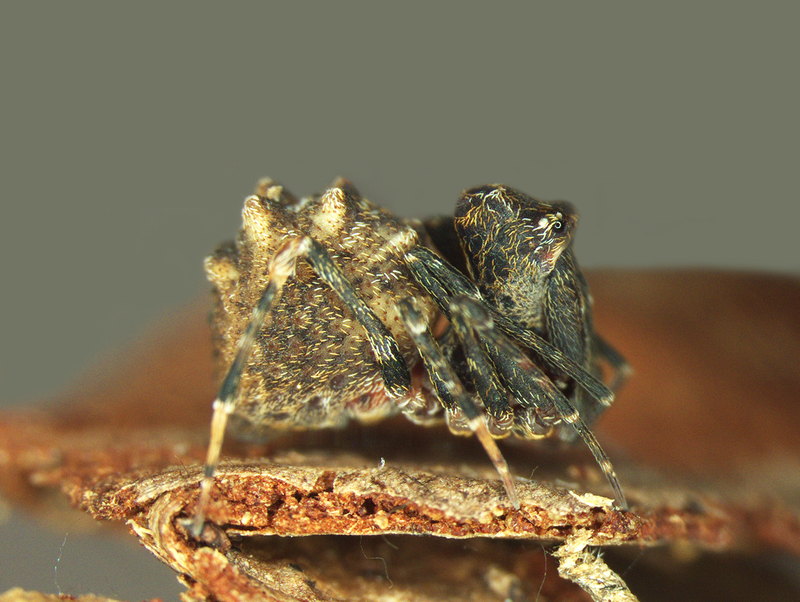 Live specimens were recently found in Madagascar, and in 2008, Assassin Spiders were discovered near Albany. It is small spider (about half a centimetre in size) of a brown colour and hard to detect in the leaf litter where it makes its home. While found at Frenchman Bay, the Assassin Spider is also located at Bremer Bay and in rainforests in Queensland and New South Wales. Harmless to humans, the Assassin Spider hunts other spiders – hence its name.. At night it suspends itself from a single strand of silk and waits for other spiders. When one is within reach, the Assassin Spider spears its victim with its long jaws. Scientists from the Western Australian Museum are studying the spider and its habitation around Albany. Given that it dates back in time over 150 million years it is of considerable scientific interest. It is presently considered a threatened species.